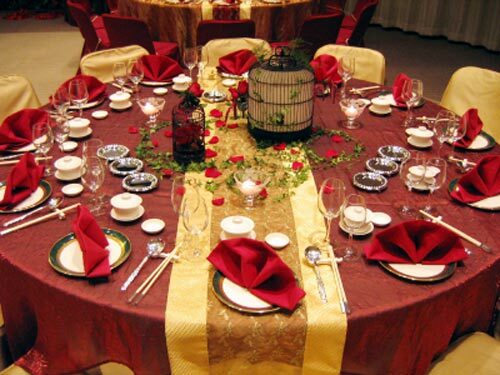 In Eastern cultures, the colour red signifies purity, joy, and celebration. Red is also considered the color of happiness and prosperity and is used to attract good luck. 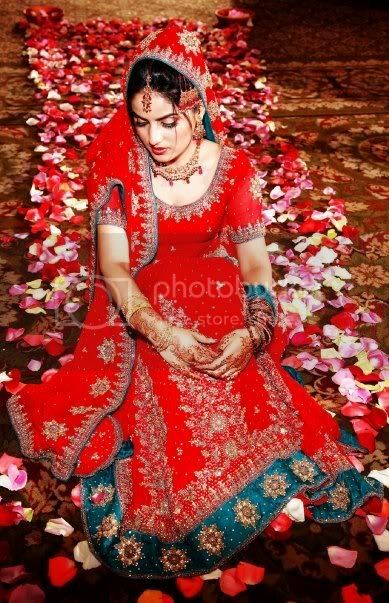 For these reasons, traditionally, Indian brides wear red at their weddings. 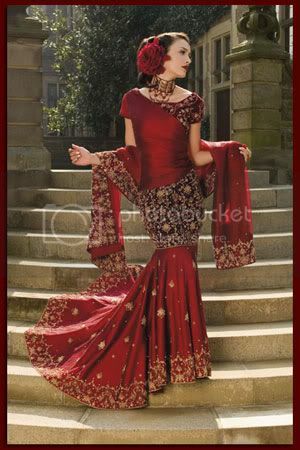 Although, we have seen of late, a move towards other vibrant colours for bridal wear, red is still a favored color. 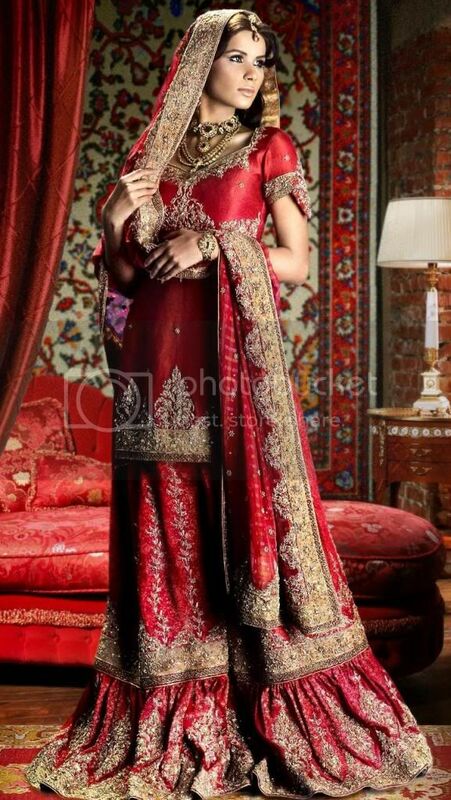 For today's blog article, we focus on stylish and modern red bridal lehngas that we have come across recently. Also, featured is an inspiration board of red colored accents that can be incorporated into your wedding to create a red theme. Red is the highest arc of the rainbow. Red is the first color you lose sight of at twilight. The longest wavelength of light is red. The color red can increase enthusiasm, stimulate energy, encourages action and confidence, and provide a sense of protection from fears and anxiety. 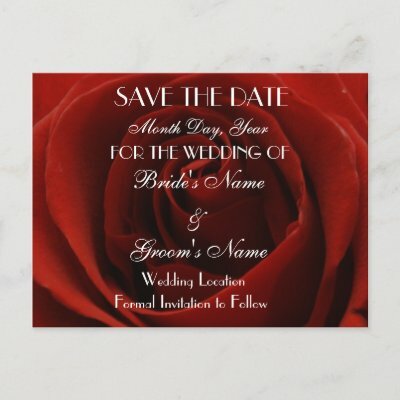 To tone down the fiery red in your overall red colored wedding theme, you can use different colored accents such as cool blue, pure white or silver, or harmonizing golds, yellows and pinks.